Great work, all cars get better when used headlights from golf mk1 can be used, they are dirt cheap. Or at least was, a few years ago. Nice to see you get excited about driving your 924 and working on it. You must be one of the early birds for this year's 924 season. Gets me interested in getting mine out of hibernation and further sorted out. I miss driving them both quite some...so tired of lazy farting diesels. Get the sealed beams cheap and keep it factory, in the long run its better...and you get to keep the pop-ups...which is a fantastic thing. I don't know if you're allowed to use European headlights but my 34-36 year old headlights work really well. I never replaced a light bulb..i suspect they are either the originals or really old ones. We can't legally run Euro/H4 headlights... but no-one checks. I have, in the past, run 80/100W bulbs, loved those... but now I live in the city, not worth the trouble for all the extra wiring. So yeah, probably just chase down some basic 7" sealed beams, for now. Still not exactly certain that the popups will interfere with the IC install... thinking I can probably just as easily rework the end tanks etc, maybe squash the tubing a little, and make it work... we'll see. Eventually. I've owned this car for a good 15 years or so, and never succumbed to the temptation to raise the boost from stock. The boost gauge, regulator, and intercooler I've all owned for almost as long. Still not exactly certain that the popups will interfere with the IC install... thinking I can probably just as easily rework the end tanks etc, maybe squash the tubing a little, and make it work... we'll see. Eventually. I have this compressor housing to fit a US 931 S1 comp wheel (2664) if you want to try it..
Then you can shoot right around to a fmic like mine, or give you other flexibility aiming the air cannon..
You can install in situ, without pulling the turbo, with a 10mm like this.. Source from 1989 951S. Direct bolt in, just swap on the 931 hot side housing. I think even the K27 is overkill, simply too much for street fun. 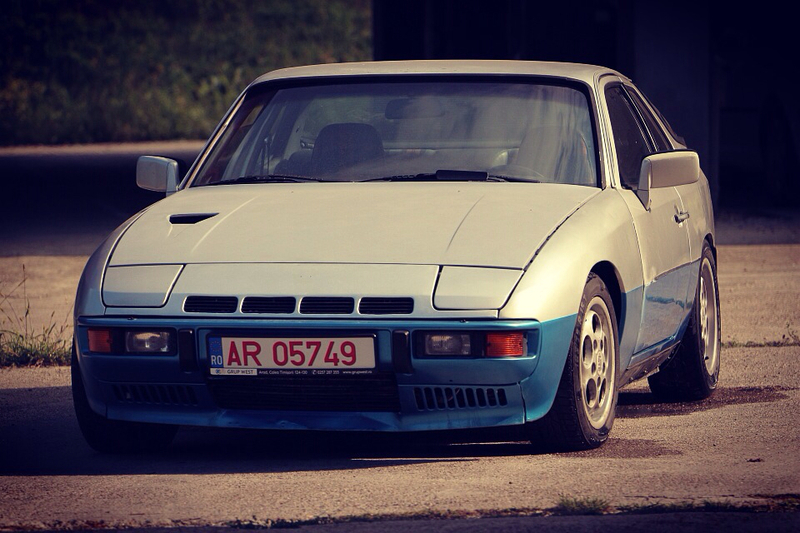 924 is in all factory forms a light fun, safe and easy to drive sports car. Add a K27 or K28 and you take away all the fun you can safely have with it on the road. I would intercool my 931 only for longevity. 170hp is just enough..perfect balance. Everytime I turn my boost back to 0.7bar/175bhp I find myself turning it back to 1.0bar++ /225bhp super quick. Whilst I will put less stress in the car/motor on low boost, the noise and theatre of 1bar+ boost always puts a bigger smile on my face. Meanwhile, I'm sitting here with .45bar, like WTF?!? Pop it over to 0.7 and you're in for some fun. Why only 0.45? Did I mention the car's bone stock yet? So yeah, stock boost, which is only 0.45 here (US). 93 is easy to come by. Don't feel like paying for race fuel on this car - it's a DD! Plus no charge cooling yet. Need to add that, and better engine management (slowly assembling the pieces), but want to enjoy driving it for a while. I have enough cars torn apart, don't need to add this to the list for major surgery; after all, it's only just now coming off the disabled list having been there for years due to engine rebuild then poor running.